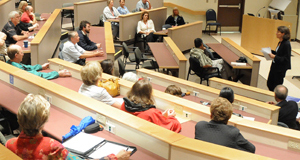 Cummings School faculty provide the latest in surgical and medical education to the veterinary professionals and staff throughout New England. Leaders in research and teaching, they provide seminars, lectures, hands on labs, and online learning experiences that improve the care and treatment of all species. Clinicians from our hospitals how to best deal with the common and uncommon complaints your pet might face. From how to socialize a puppy, to dealing with the challenges of geriatric care, our clinicians help us to understand the right way to keep our pets in the best of health. 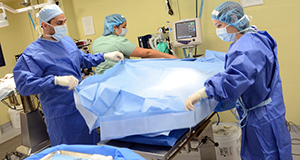 Faculty members in the Department of Clinical Sciences at Cummings School of Veterinary Medicine at Tufts University are dedicated to providing outstanding training for interns and residents. 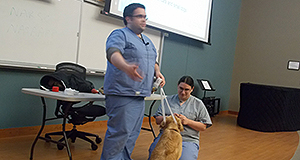 In addition to exposure to a large caseload, house officers in the department’s internship and residency programs have opportunities to attend numerous in-house rounds, seminars and conferences, to teach fourth-year veterinary students and to participate in clinical or basic research projects.